NABS is the National Auslan Interpreter Booking and Payment Service. NABS is free to people who are not eligible for NDIS (National Disability Insurance Scheme). We are a registered NDIS service provider since 2013 and can assist NDIS participants with all their sign language interpreting needs which includes health care and other interpreting needs. For further information on NABS and the National Disability Insurance Scheme (NDIS), visit our NDIS page. Interpreters can be for Deaf adults and Deaf children. 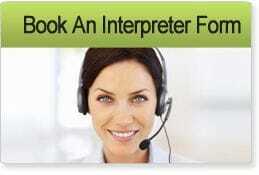 Need an interpreter for non-medical appointments? Please contact us - we can help.